While the vast majority of the global marketing research spend is on consumer research, there is a growing recognition of the need for marketing research for business-to-business (B2B) organizations. Infosurv Research has extensive experience in conducting survey research with business and professional respondents. Moreover, while many of the marketing research principals still apply, there are some key differences that make B2B market research more complex and challenging. Access to B2B Respondents can be challenging. The most effective and valid source of B2B respondents would be from a list provided by the client of their customers or their prospects that includes contact information. However, if you don’t have access to such a list, you may need to find your respondents through other sources such as online panels. Unfortunately, there are very few good lists of B2B respondents. Then, when you have found them, reaching the correct respondent through corporate gatekeepers is another challenge. In a B2B marketing survey, more resources (time, people, and money) are dedicated to finding respondents than for a consumer project. Sample sizes may be smaller. Compared to the general consumer population, there are just fewer business and professional respondents. For example, think about how many orthopedic surgeons there are in the U.S. Now think about how many U.S. pet owners there are. Far, far fewer! So you may have to make do with smaller sample sizes than you would prefer. The good news is that with smaller population sizes, you may be able to attain acceptable levels of reliability with smaller sample sizes. The purchase decision may be more complex or longer. When a business decides to make a major purchase (or even a not so major one) there are usually many different people involved. There may be a formal process used for purchasing, often requiring multiple reviews and approvals. So who should complete your survey? The ultimate decision maker? Or someone who had a strong influence? Or the Purchasing Department representative? Or all of these key stakeholders? The purchaser and the user may be different people. Frequently, individuals in businesses make purchases that they do not necessarily consume. And the opposite is also true: workers often use materials that they do not actually purchase. So it is critical to understand whether your research should focus on the purchaser or the ultimate user. Respondents are more geographically dispersed. Research designs requiring in-person data collection such as focus groups are more difficult with B2B studies because the potential respondents are usually scattered across the country. Unless you can arrange your research at a time and place where there are likely to be a significant number of qualified respondents (such as an industry trade show), you will probably need to substitute online methodologies (webcams, bulletin boards, etc.). Response rates are lower. It is much more difficult to convince a business person to complete a survey than a consumer. They have many demands on their time, and so it is more important to give your B2B respondents a good reason for participating in your research. Incentives are commonly used and are usually more expensive than for consumer studies. Additionally, the prestige and stature of the person asking for their participation is also important. 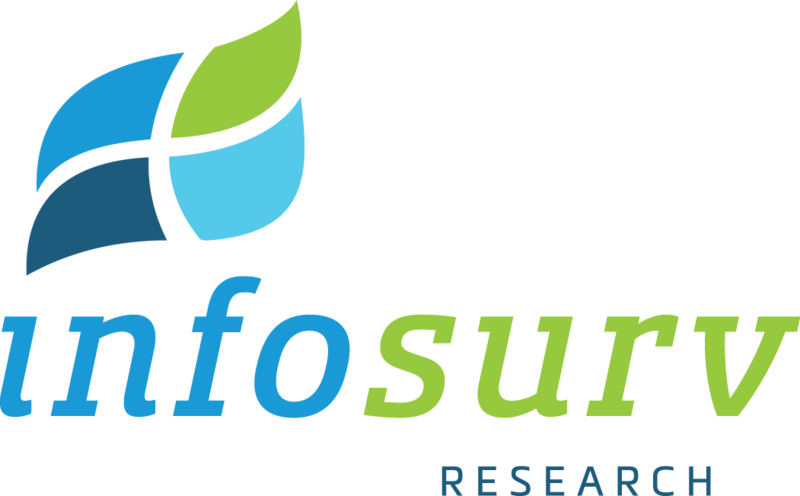 Infosurv Research understands how to successfully complete even the most difficult B2B market research project. To learn more about our B2B research services, contact us today.